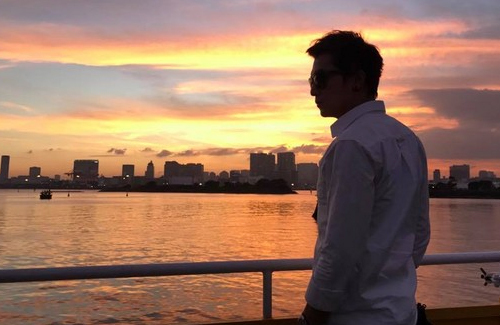 On the morning of November 14, Taiwanese actor Roy Chiu (邱澤) delivered a sad message to his fans on Facebook. It was a very simple update, with only eight Chinese characters. 35-year-old Roy Chiu debuted 15 years ago, when he was only 20 years old. Growing up in a single parent household, Roy learned how to be independent at a young age. He idolized his father, who was a taxi cab driver working 15 to 16 hours a day. Though he looks up to him, father and son often clashed due to their strong personalities—both of them were very stubborn and persistent. When Roy entered college, his father suffered a heart attack and had to get a stent inserted into his arteries. The surgery cost at least 100,000 yuan. At only 20 years old, Roy searched everywhere to raise money for his father, before finally landing a modeling job in the entertainment industry, and started his acting career. Many fans left their condolences for Roy and his family on Facebook. They urged fans to not like the status, but react to it instead. Thats why I dont like social media. Sad events like this seem to be belittled. The automatically liking of any post is weird and inconsiderate too. Im guessing the laughing emojis are just from idiot trolls, no surprise there. There will always be some online. I had always thought that Taiwan has one of the most comprehensive and accessible health plan for its citizens. Why would he had to raise money for his father’s stent procedure?